A West Cumbrian charity providing day care for people with disabilities is promoting social inclusion through the art of photography. 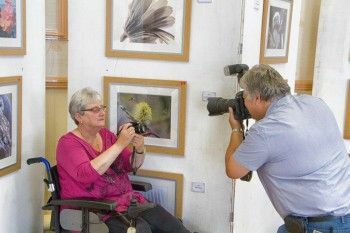 Members from Cleator Moor’s Copeland Occupational and Social Centre and Allerdale COSC based in Maryport, took part in a digital photography course run by the Workers’ Education Association (WEA). Specialist equipment was provided to allow everyone to take part in the course as some members were unable to use their arms to take a picture. Five of the photographers used a bite switch to take their snaps which is often used by skydivers to capture their jumps. Funding from both the Red Nose Day Community Cash Fund and the Costain Fund contributed towards a five day exhibition to showcase the artwork. 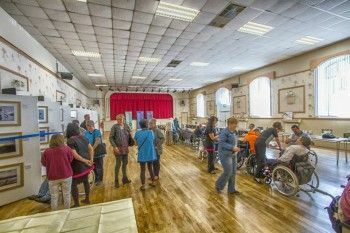 The annual exhibition was held at Egremont Market Hall on 21st August and was open to the public. All photographs were for sale with profits going towards next year’s printing costs. Donna Brookes, WEA’s photography tutor said: “Photography is a massive part of their lives and it’s something anybody can do. What’s really interesting about these pictures is that they show the world through a different perspective, because people with disabilities can see things in a different way.